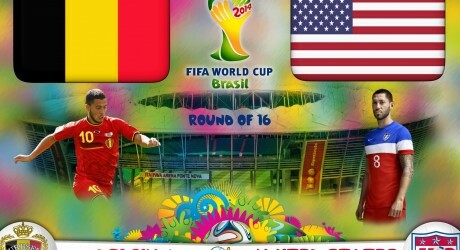 Belgium vs United States match will be played today on 01 July 2014. This match between Belgium and United States will be played at the Arena Fonte Nova, Brazil. The match of Belgium v United States will be started at 1600 GMT. Both the teams are well balanced and they can show the brilliant performance. This is another important match of round of 16, which is knock out round. If any team wins the match, it will march in the second stage of quarterfinal. The looser team will have to go back to their home and they will get out of the FIFA World Cup. PTV Sports has made special arrangements for showing the match to the football viewers in Pakistan.